Don't be confused by the title - this is not meant to be a pure motivational post. 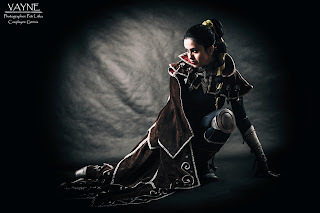 It's a post about my experience from taking part in cosplay contests and how long it took for me to be now where I am. And I've written this article as a summary for me (because it's normal to write summaries at the end of the year), as something, that could help other people overcome crisis (because I had to overcome it too), or get better in what they do (I've written steps, that can actually help). - don't make stuff you don't like and don't use materials, that don't suit you. Always go your way, because doing what you like brings the best results. - pay attention to detail, try to improve with each and every new project you do, think of new ways and new use of materials. - pay good attention to social sites and understand their mechanism, make a lot of good pictures/videos of your work with talented photographers, attend cons and cosplay contests - be present and seen. - give back to people who support you, make tutorials, giveaways, communicate, learn to say thanks, try to meet their wishes. When I first started to make cosplays it was something new for me and I never expected to take part in any contests, I actually didn't even know, that contests in cosplay existed. I was just a gamer making her chosen character come to live. And when I finished my first costume, I thought I can show it on some event, just to know the reactions of the people around. I took part in an fast improvised contest, just as #yolo thing, you know, try my best and show others what I can do when there's nothing to lose. I said to myself, that this is something I really enjoed doing and that the competing was for me the best appreciation of my work - so I decided to make another cosplay, very challenging for a newbie like me and I planned to take part in a bigger, more prestigious contest with it. I decided to make a very challenging armored cosplay - Demon Hunter from Diablo 3 with collapsible crossbow and led lights. It took me a lot of time, I tried to figure everything myself, thought of new techniques (sponge painting) and materials (instead of EVA foam, I've used craftfoam with thick felt), and I tried to use realistic looking fabrics (real leather, luxury black velvet). And when I finished it, I was really proud of myself, because it didn't look bad, it was kinda really good and I got a lot of positive feedback from people around me. I decided I would like to try bigger contests like czech qualificating contests for Eurocosplay and World Cosplay Masters. 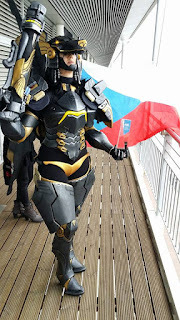 And I have to admit after discovering the czech cosplay community, I realised the big importance of Eurocosplay contest in my country - every czech cosplayer rooted for the contestans in that contest and every winner of the qualification became instantly a big name on the cosplay scene. 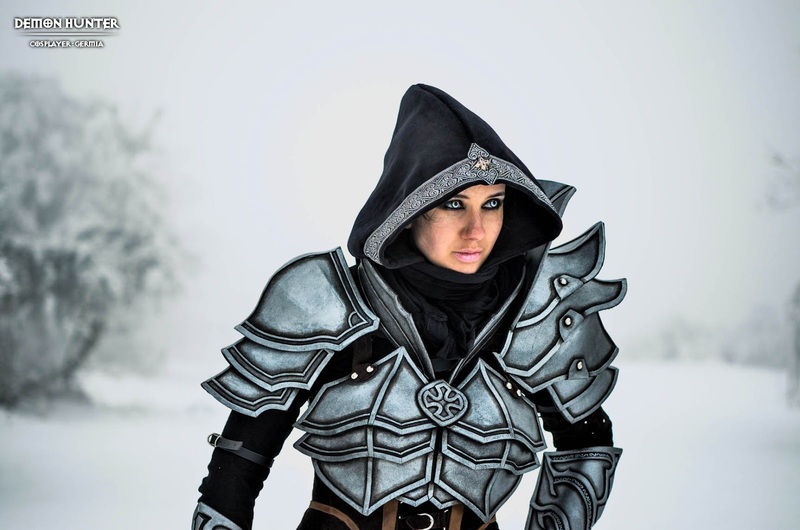 I instantly realised, that my next dream is to qualificate and take a good placement on Eurocosplay contest. Unfortunately I had my state exam on university and I wasn't able to take part that year. I was really sad, but school and work go always first, that's the reality. 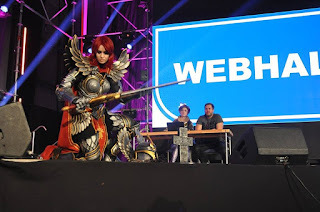 The next chance for me was the qualification for World Cosplay Master - pretty new contest for czech cosplayers, but a chance to represent my country in what I love to do. I took part, made a pretty good work as my first time making a real performace and ended second. It wasn't bad, but it was somewhat disappointing. Only the first one gets to represent the country. 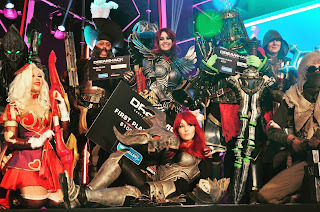 My next chance to take part in a bigger contest was Road to Blizzcon in Prague. I had high hopes for this contest, because just the name "Blizzcon" sounds just great, doesn't it? 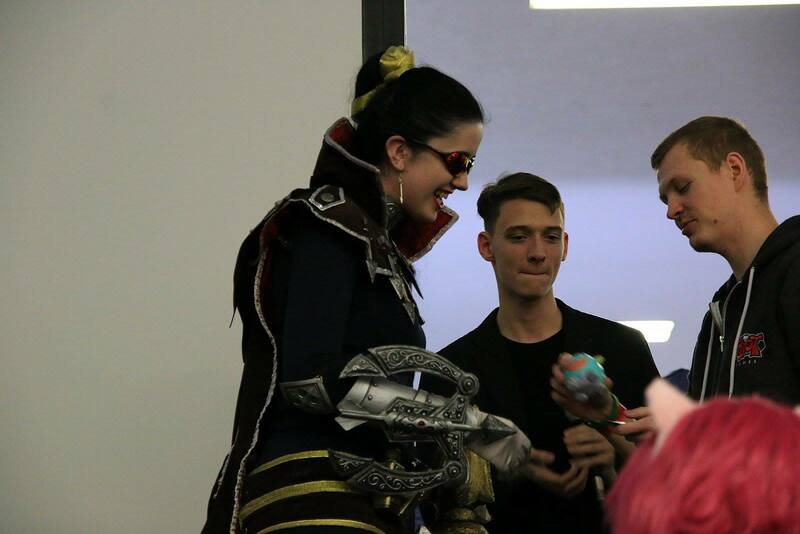 The first prize was a 3D printer - something, that can push a cosplay project to another level. So I entered. I have to admit, the contest was only instagram based - I haven't had an instagram account then, so I just said to myself #yolo once again, made a new account and posts on my facebook wall. A great and really unexpected support came, a lot of my friends just rooted in a big way for me and for two day it seemed like I actually can win this contest. And in the last moments of the contest, I got an update from ogranisers, that comments count too (even not specified before) and another cosplayer jumped right on the first place immediately in very last moments of the contest and I've lost. I just can't describe the feeling of this, after the invested work of my friends and so many hopes, it just didn't happen for me. But I have to admit, second prize was also very good and I gave the stuff I got to my friends to cheer them up and I'm still using some of the material for cosplay I got. But the problem is, history asks only about winners. 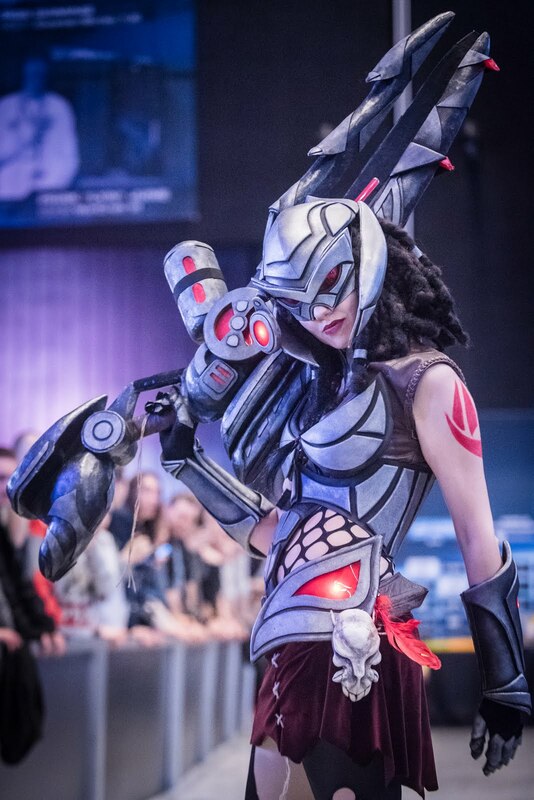 I started working on next project, that was actually heavy lighted and (even it doesn't seem like it on the first sight) pretty complex costume - Headhunter Caitlyn with handmade dreaded wig, new materials (foam and my first proper electronics) and pretty complex sewing work of the net and weird fabrics. I planned to compete with it in Katowice. 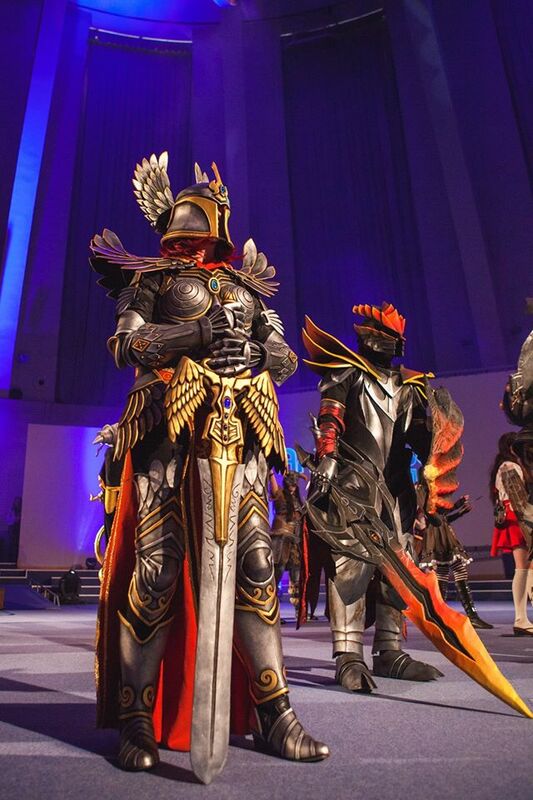 I knew there is a cosplay contest and I knew it was opened for LoL cosplayers. So I applied and got an invite for final round on IEM Katowice 2016. I was really happy and looked forward to this chance (and I was also in a real need of PC upgrade - the first prize, gaming PC, would be a great enhancement of my streaming activities). After so many contests with placement dropping tendency, I was really wondering, if competing is for me, if I really should invest so much time and effort and I thought to myself, that I don't really have skill and talent to be so good, that I could accomplish my dream to be successful at such a contest like Eurocosplay. I was really having a bad time of my life struggling to finish my Master thesis in time, get a decent job and I had a lot of problems in personal life too. And when you are feeling, that you're failing in most of the part of your life, the mood isn't just good. But I'm a fighter and I really wanted to try if I can make something epic to compete against a new strong generation of czech cosplayers, that defeated me so many times before. 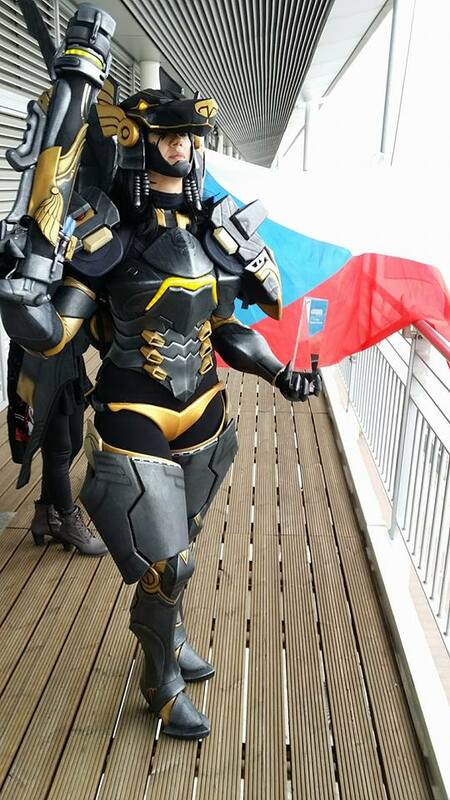 I worked really hard to make my dream cosplay - Valkyria like armor with golden details, I finished it in time just to invest more time in my performance and props. The cosplay I made really made an impact, when I entered the event, everyone was blown away by my work and I was really surprised it got so much attention. I entered the Animefest contest and I actually won it. 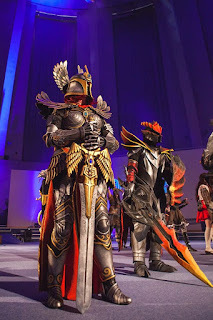 I couldn't believe, that my trip to Eurocosplay is real.. It was the best feeling in the world. Suddenly my work made much more sense. But it was not the win, but the things people said to me, that counted. Win was a dream come true, but appreciation of my work counted more. 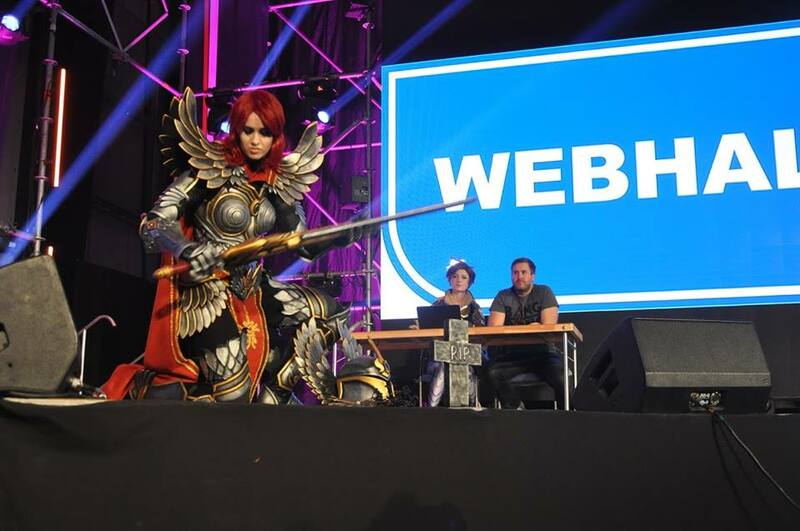 From that time I have much bigger trust in my work, I won Eurocosplay and my whole country was proud. 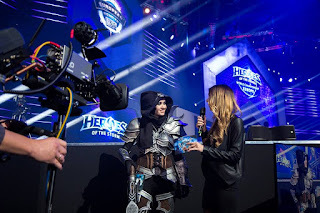 I won Dreamhack a month after and I really had too look behind me and thank to the people who supported me the whole time, thank to them all, that they put a lot of trust in me and I didn't quit doing what I love to do in the times I wasn't that successful. And what my next plans are, you ask? 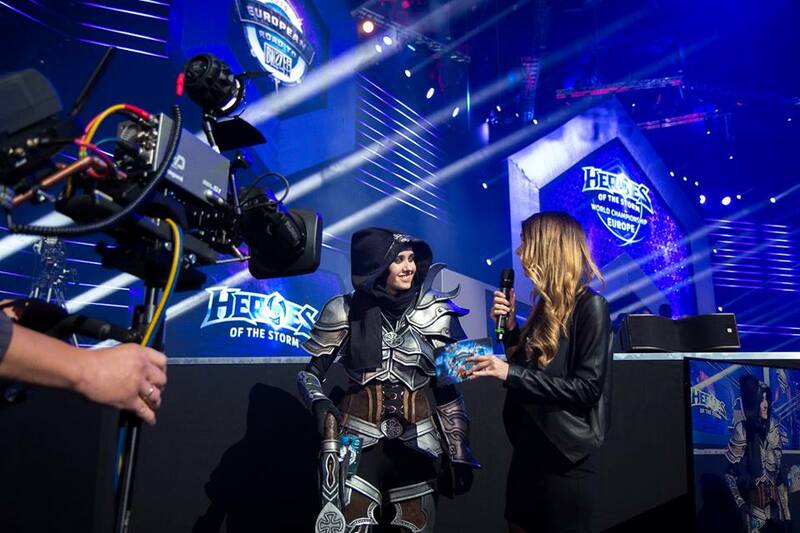 The things I want to do in my career are attending and competing on Blizzcon, Gamescom and representing my country in Cosplay World Masters. I hope I can accomplish some of my next dreams. And why I've written this TLDR post? Just to say, don't give up on what you love, guys!